The MISS EARTH Pageant is an International Environmental Event channeling the beauty pageant entertainment industry as an effective tool to promote environmental awareness. Because many people admire and aspire to be a beauty queen, Carousel Productions, Inc. believed beauty queens would be a good and effective advocate of worthy causes. To give life to this vision, Carousel Productions Inc. organized and launched in 2001 the MISS EARTH Beauty Pageant, a beauty event whose raison d'etre was to have its candidates and winners actively promote and get involved in the preservation of the environment and the protection of Mother Earth. Apart from a strong emphasis on environmental protection programs, MISS EARTH also aims to showcase and promote various tourist destinations. Every year, 80 to 120 candidates from all over the world compete on beauty and knowledge of environmental issues. 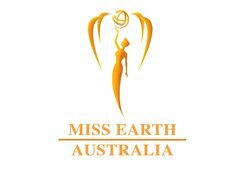 The winner of MISS EARTH AUSTRALIA 2019 will travel overseas in November 2019 for 2 weeks and will serve as the Ambassador to environmental protection for Australia. 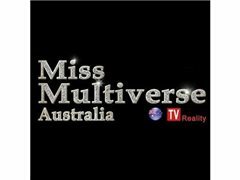 All expenses, airfare, accommodation, transfers, cash and non cash prizes and wardrobe will be provided by Miss Earth Australia organizers. Now on it's 17th year, MISS EARTH continues to build its reputation as the most relevant and worthwhile beauty event in the world, setting a legacy of beauty and responsibility. A national delegate for MISS EARTH AUSTRALIA should be a citizen of the country she will be representing, and a national pageant winner by a recognized MISS EARTH franchise holder. We are proud to support Greening Australia. Search for Miss Earth Australia 2019. Search for the most beautiful woman ambassador. • NEVER BEEN MARRIED, single, never given birth. • Has knowledge of her country's culture and environment. Females, aged 18 to 26 citizen from Australia leaving or working overseas.